Unfortunately we just had a cancellation on the catamaran Mango for New Years but the good news is that they are now available for YOUR holiday charter. Take your pick: New Years or Christmas... Both weeks are currently open. 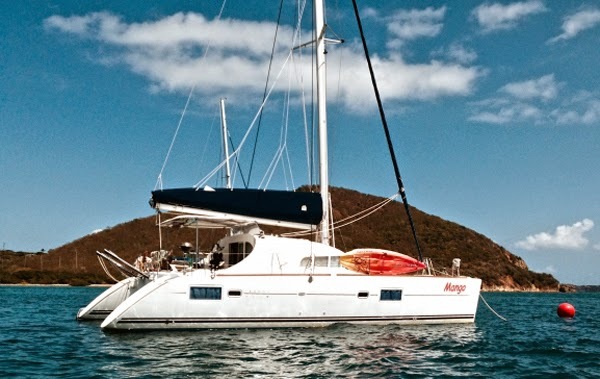 Mango has a very attractive and affordable introductory rate that includes BVI cruising taxes and permits. They have a 10% premium for holiday charters. Mango also accepts charters of less than 4 nights and offers daysails, too! Inquire. In 2012, they felt it was time for a change. Dianne remembered her mom's favorite saying “a turtle only moves forward by sticking out its neck“. 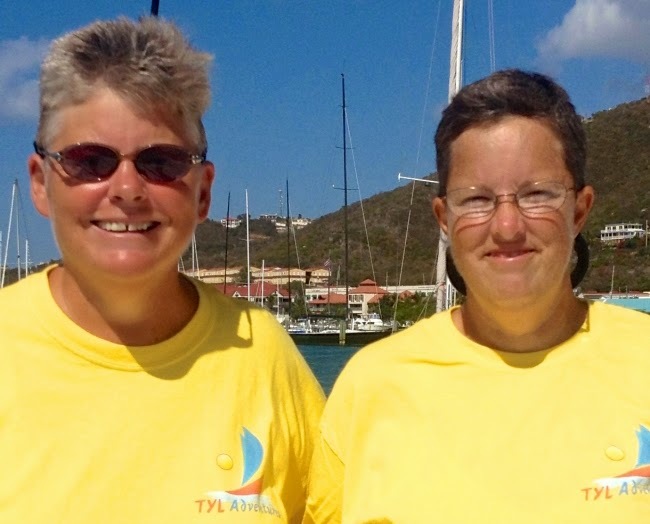 They decided it was time to live their dream so Dianne and Kelly sold almost everything they owned, including their house, and moved aboard Mango. As the great philosopher Riff Raff said, "It's astounding.Time is fleeting. Madness takes its toll..."
Don't wait too much longer if you wish to have a New Years charter in the Virgin Islands this year. We do not have many good yachts left that fit into the "affordable" category, although there are a reasonable selection of boats still available for Christmas week.